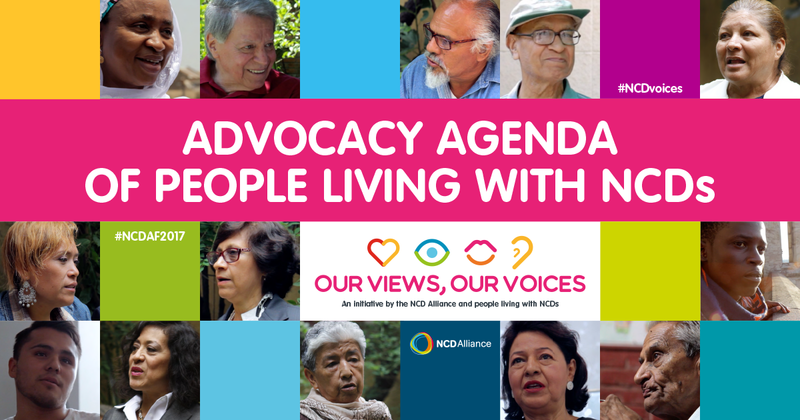 At this year’s World Health Assembly, the NCD Alliance launched the Our Views, Our Voices initiative to increase the meaningful involvement of people living with NCDs (PLWNCDs) in the NCD response in order to improve policy outcomes and combat stigma and discrimination. Activities so far have been devoted to consulting people living with NCDs from all around the world to capture the key unifying challenges faced and recommendations for decision makers in the fields of treatment, care and support; prevention; social justice; and meaningful involvement. 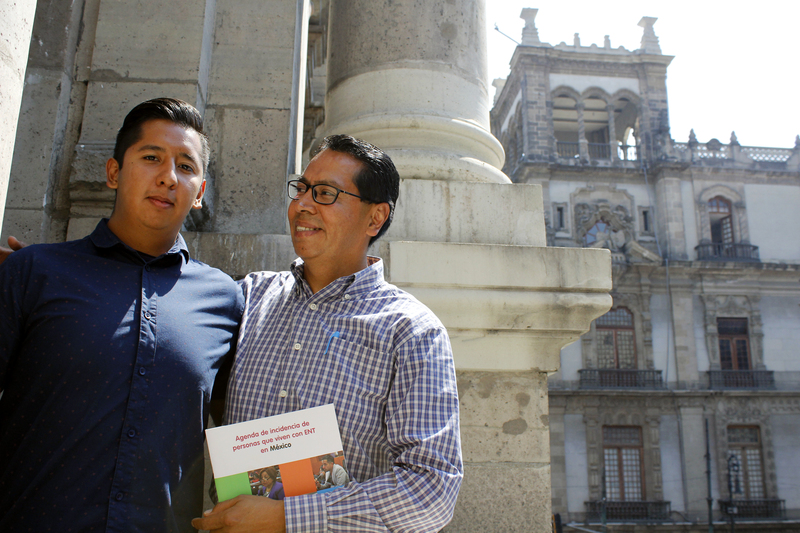 This summer, 72 community conversations, or small focus group discussions involving those who have or have had NCDs, their care partners, relatives or friends, were hosted in 16 different countries. In total, 935 individuals took part in these events, sharing their stories, beginning to identify shared challenges and formulate common asks. An online survey of people living with NCDs was made available in order to widen the reach of the consultation. Covering the same themes as in-person conversations, this consultation received 958 responses from 74 countries. 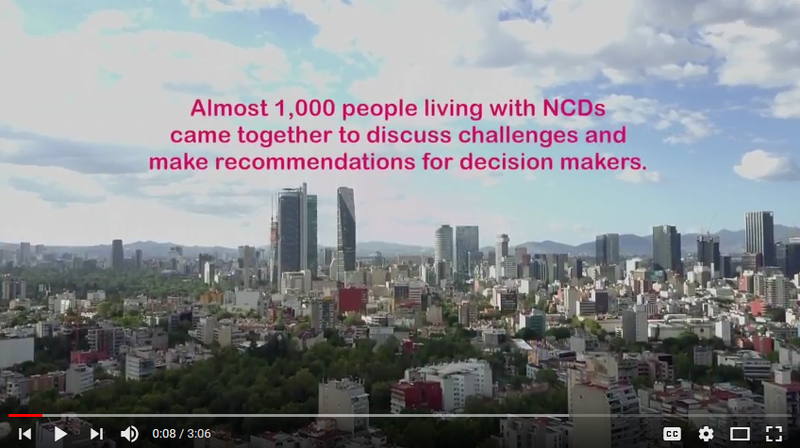 In order to discuss the consultation results, the NCD Alliance is organising an Our Views, Our Voices workshop that will bring together 40 people living with NCDs from across the world, 30-31 October in Geneva, Switzerland. This workshop will help finalise the Advocacy Agenda of PLWNCDs, leveraging people’s life experiences, and will also kick-start thinking on taking the advocacy agenda forward. It will include a reception on the evening of 30 Oct to allow participants to meet and share expertise. The workshop will finalize the Advocacy Agenda of PLWNCDs, which will be launched at the Global NCD Alliance Forum this December. We invite you to stay tuned for upcoming updates and opportunities to get involved! Cristina Parsons Perez, NCD Alliance Capacity Development Director invites people living with NCDs to take part in "Our Views, Our Voices," an initiative that seeks to meaningfully involve people living with NCDs in the NCD response, supporting and enabling individuals to share their views to take action and drive change. In English, Français, Español, Русские and عربى.